Platinum Play Casino has a very unusual but exciting welcome bonus. Open your account now, hit the Start Free Bets button, and you have one whole day to win as much as you can. Hit the tables, spin the slots, and work your way through 1500 free bets, with no need to make a deposit. Platinum Play is a well-established Microgaming casino, founded in 2004. With weekly bonuses, huge jackpots, and a large selection of slots, video poker, roulette, blackjack and sophisticated casino games at your fingertips, it's easy to see why Platinum Play is so popular. If you have a competitive streak, then get stuck into the International Slots League and regular tournaments. And, you never know – you could finish at the top of the leaderboard, and win a juicy cash prize. It also pays to keep your ear to the ground when it comes to Promotions – at time of press, you could win a cruise, gadgets, and hundreds of free chips. Fruit machines, video poker, baccarat, craps, keno, cyber stud poker, poker ride, scratchcards, Vegas three card rummy, bingo, and dozens more. There are two ways to play at this Microgaming casino -- either download, or instant play. You can also play on your mobile. This is where Platinum Play falls short. Although this is my personal opinion, I think the homepage is a little tacky, featuring a sultry woman in a low-cut dress. Outdated. Navigation is fairly simple, thanks to a set of drop-down menus. 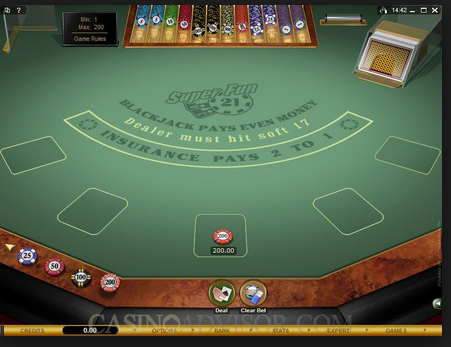 The games are standard Microgaming issue, so you'll find them sleek, smooth, and exceptionally playable. There are three different ways to contact support, which is on hand 24 hours. Best of all, you can contact support in eight different languages. 128 bit Secure Socket Layer technology is used – this is constantly updated, and it guarantees your details are kept safe. Platinum Play is part of the Fortune Lounge Group. This prestigious party also includes Royal Vegas, Vegas Palms, and 7 Sultans. Platinum Play is licensed by the Lotteries and Gaming authority of Malta. And, perhaps most importantly, it carries the eCOGA Safe and Fair seal of approval. Deposits and withdrawals are guaranteed to be Safe, Secure and Private. There are numerous withdrawal options, and also a handy Transaction History checker. Platinum Play supports multiple currencies and it's worth noting that you get a 10% bonus boost on your first deposit depending how you fund your account. Deposit using Visa, MasterCard, JCB, Solo, Switch, Delta, Skrill/MoneyBookers, click2pay, Neteller, Poli, Neosurf, Giro, and many more. Currencies include Euro, US dollars, GBP, Canadian dollar, Australian dollar, New Zealand dollar, Danish kroner, Swedish kroner, Norwegian kroner, Swiss franc, Argentinian peso, and Brazilian real. The following Terms and Conditions apply to all promotions and offers presented by Platinum Play Online Casino (herein referred to as “the casino”). In addition to these Terms and Conditions, please ensure that you familiarise yourself with the specific conditions that apply to any promotion in which you decide, or are invited, to participate in. The General Terms and Conditions apply to all interactions with all the Fortune Lounge casinos and must be read alongside all relevant Promotion Terms and Conditions. Promotions are only valid for the period specified in the promotion communications and are specific to the mentioned casinos and account numbers. For the purpose of all promotions, dates and times are calculated according to Greenwich Mean Time (GMT+2). Where promotions are addressed to a specific individual or casino account, offers are only valid for the casino and casino account number specified. Discrepancies between the name of the casino account holder and the name of the individual making a deposit will invalidate any offer. Unless stated otherwise, all deposits must be wagered at least once before a promotional bonus specifically related to that deposit will be credited. Your casino account balance is divided into a cash balance and a bonus balance. When your account is credited with promotional bonus credits, these credits will be added to your bonus balance. Bonus amounts credited to your bonus balance are subject to 40x wagering requirements before they can be withdrawn. New Player Welcome Bonuses are subject to 40x wagering requirements. Once you have met the wagering requirements, all subsequent deposits will be added to your cash balance. If, prior to meeting the full wagering requirements, your bonus balance drops below €1 (or currency equivalent), and provided there are no bets in play at the time, then your wagering requirements will be considered to have been met. For example, bets in play may include any unplayed Free Spins waiting on a slot game, a bet waiting to end on a blackjack table or an incomplete token game (a token game is one in which a player needs to earn tokens or tickets to complete an achievement). The following are considered token games: Tribal Treasure, Chief’s Fortune, Tomb Raider™ – Secret of the Sword, Wealth Spa, Scrooge and Castle Builder™). Wagering on games will count towards the wagering requirement. However, different types of games will contribute differently towards meeting the wagering requirement. Wagering on all Gamble Features will not count towards any wagering requirements.